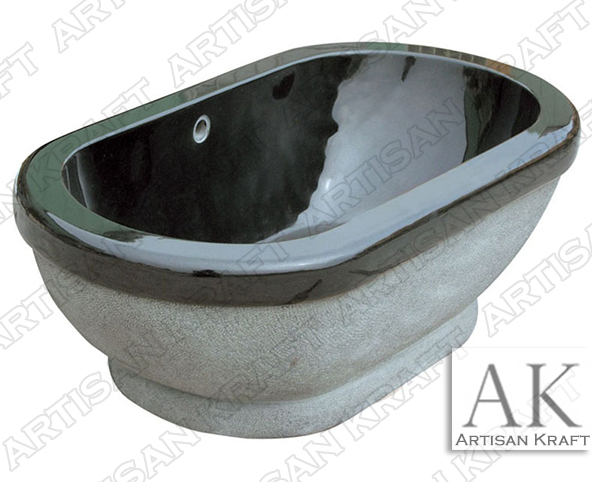 Enjoy the engineered silhouette of this absolute black marble tub. Polished on the inside and machine cut natural exterior finish. Enjoy the luxury of your carved black marble tub as you relax in your master bathroom. This is one of the many luxury bathtub designs that we have here at Artisan Kraft. We have a showroom in Chicago and are opening on in California.